We’ve got a fridge with three more pairs of meals waiting to be cooked over the coming week, but I can attest so far: everything we’ve made has been delicious, easy to make, and less than 700 calories per generous portion. Let’s pause and reflect that I’m actually excited about cooking, which is an altogether new experience. You’ve probably seen advertisements on Facebook for similar services before. What makes Plated different? Well for starters, a dear friend is the sourcer for ingredients here in NYC, so we can attest to the quality. But their meat is free from antibiotics and added hormones, their fish is domestic and sustainably sourced, and their produce is locally sourced fresh produce. Bottom line: ingredients are healthy and delicious. 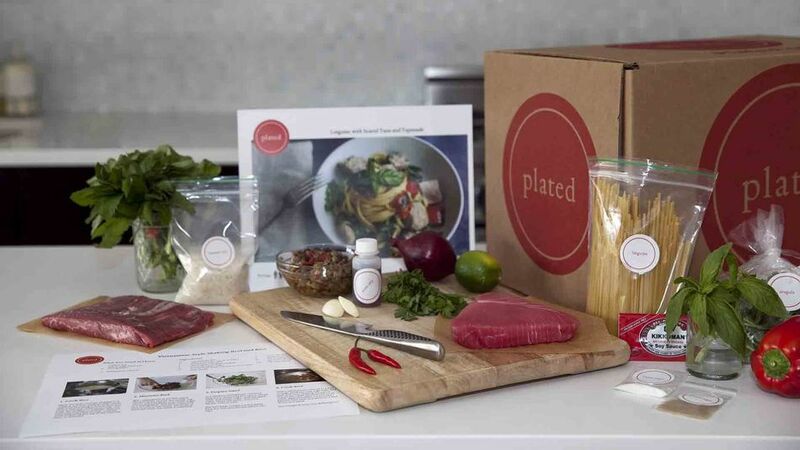 Check out Plated today with two free meals, and no minimum commitment for future meals. You’ll be glad that you did. This entry was posted on Sunday, February 15th, 2015 at 7:50 pm and is filed under Uncategorized. You can follow any responses to this entry through the RSS 2.0 feed. You can skip to the end and leave a response. Pinging is currently not allowed.